I turned a new page in March. 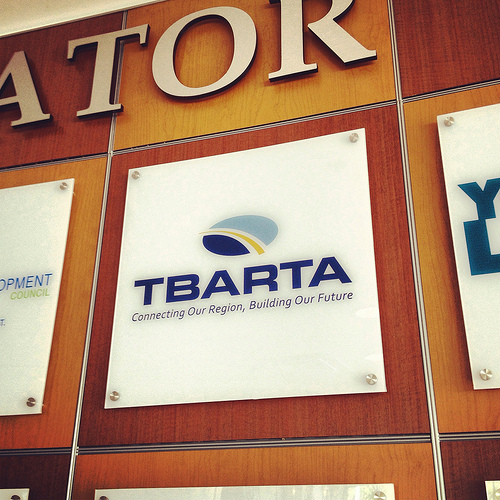 Started a new job at TBARTA (the Tampa Bay Area Regional Transportation Authority) as a communications deputy to the director, who promptly left to pursue an opportunity in Miami. I sorta fell into her role, which was a lot of gasping for air and flailing in the proverbial deep end of the career pool. I still don’t see myself as the communications director, but I’m getting there. I also agreed to move into a new place with my brother, who wanted a change from his apartment of four years. I too felt it was time to move on, and out, from my parents’ abode. We found a great two-story loft condo in the more colorful part of Ybor…at a relative bargain for its size and newness. Still, going from $0 to $800 a month for living will be an adjustment. 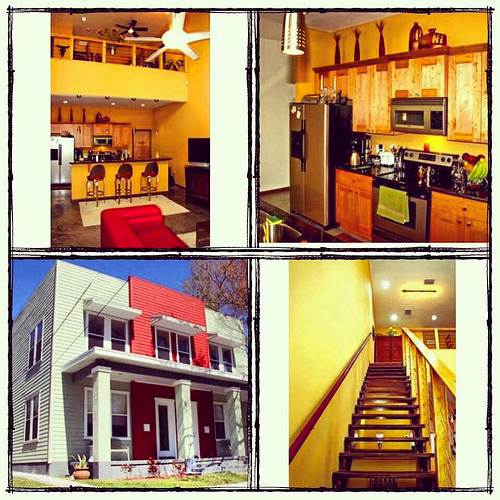 We move in next week – can’t wait! Which brings me to my last major life change. I’d decided to sell my Mini, after much risk assessment for future repair bills and my remaining loan payoff. Originally, I’d thought I could look at other Minis, or Volkswagen GTIs. Those both turned out to be bigger lease payments than I wanted to undertake (especially given the new living expenses). 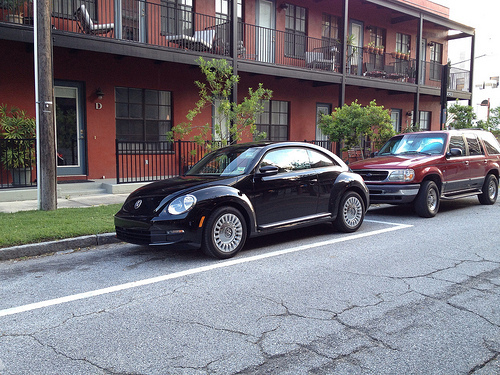 THUS, I found myself doing the adult thing (ick)…and considering less expensive cars. 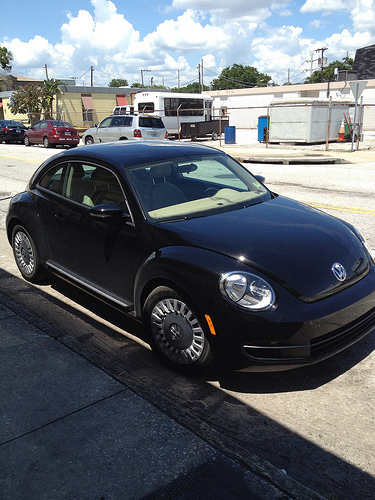 Namely, the Volkswagen Beetle. The newest iteration greatly improves on the 2000s ‘New Beetle’ by squashing it flatter (Audi A7-esque if you ask me) and making the interior less kitschy. In black, it looks appropriately retro without being a dreaded Chrysler PT Cruiser. All this change has been exhilarating. 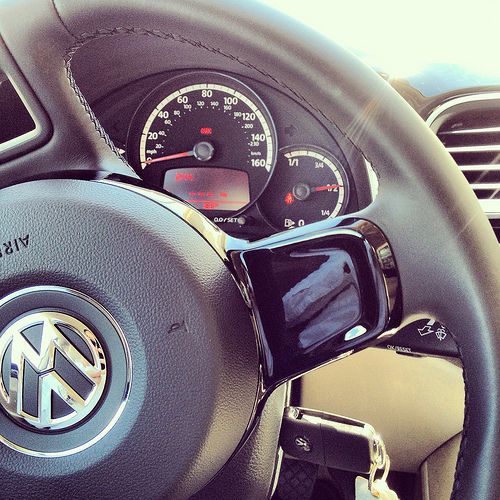 Of course, I wish I could afford the townhouse and a GTI…but it’s been a hard truth lesson in the expenses of life. I get to move out of my parents’ house, but I’m driving a simpler car, for $70 less a month. So, there were tough choices. Am I happy? Yes. Am I choked with bills? No. I can go to bed not worrying about my finances, which is worth the tough choices up front.